The Domestic Violence Department is located on the Absentee Shawnee Tribal complex in Shawnee, OK. We provide free confidential services to Native and Non-Native victims/survivors of Domestic Violence, Sexual Assault, Stalking, and Dating Violence within Pottawatomie, Cleveland and Oklahoma Counties, and Absentee Shawnee Tribal Members across the nation. Our advocates can meet at a safe, public location if necessary. We also collaborate with the Pottawatomie County Family Justice Center, One Safe Place and have meeting space available. If you would like to meet at that location, please let the advocate know when you speak with them. 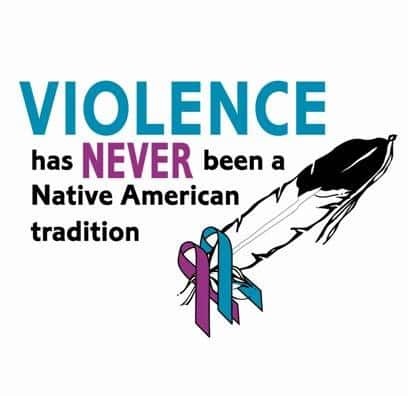 The Absentee Shawnee Tribe’s Domestic Violence Department strives to eliminate violence in Native Country and to strengthen Native Families to end the cycle of violence. Confidential advocacy for victims of sexual assault, domestic violence, stalking, and dating violence, including 24 hrs/7 days a week crisis intervention and support. Each victim/survivor will receive emotional support and resources both to Tribal programs and local community programs. Advocacy can be provided at hospitals, police stations, throughout the legal system and in the community. The program also serves as a resource center to the community by offering educational information and referrals as needed. Housing assistance is based on availability of funding and a demonstrated need. To qualify for assistance the victim/survivor must complete an intake and meet with an advocate to determine eligibility. Helps victims/survivors who are in need of filing an emergency protective order or other domestic violence related matters. The court advocate accompanies victims/survivors to domestic violence related court matters and provides referrals and safety planning as needed. The Transitional Housing Program is referral based and provides independent permanent housing while providing financial relief that allows for better success for victims/survivors who have taken the step to start a new abuse-free life for them and their dependents. Assists with providing community resources to those who are in need of additional services outside the scope of the Absentee Shawnee Tribe’s Domestic Violence Program. 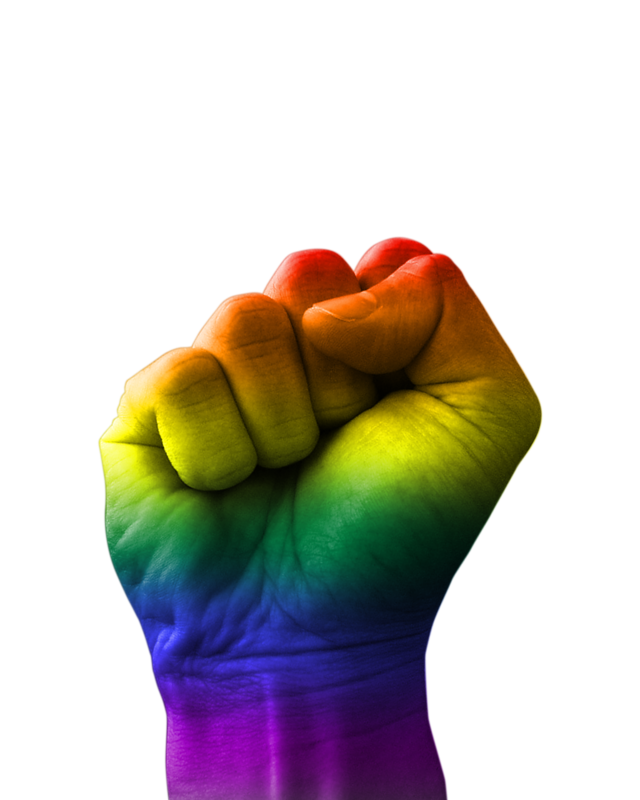 The AST DV Sexual Assault Program is on-call 24 hours per day to provide emotional support, advocacy and crisis counseling to sexual assault survivors at hospitals, police stations and throughout the legal system. The program also serves as a resource center to the community by offering educational information and referrals. The Absentee Shawnee Tribe’s Domestic Violence Program advocates provide assistance in locating emergency housing/shelter. The Department collaborates with local domestic violence shelters within Oklahoma in order to help victims obtain safe housing. 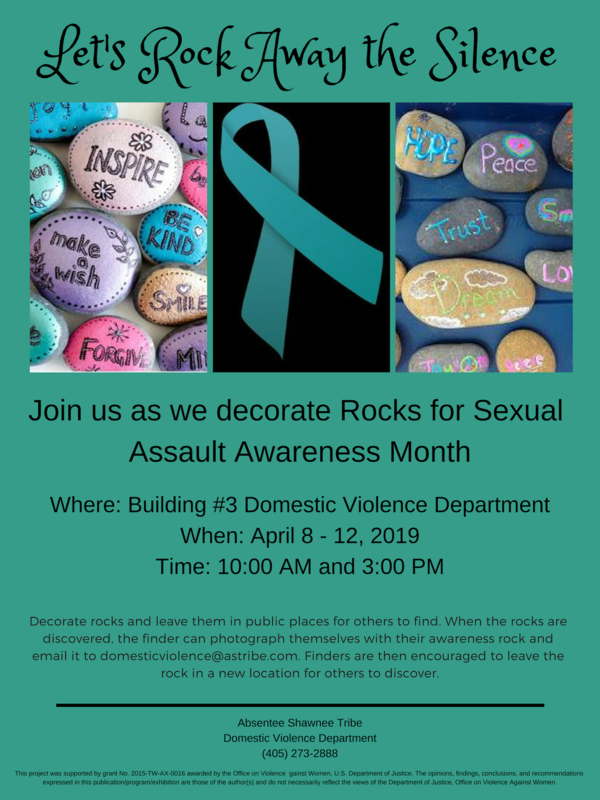 The Absentee Shawnee Tribe’s Domestic Violence Program participates in community events to provide awareness regarding domestic violence related crimes and available services. If you are interested in being a part of our Advisory Board, please complete the form below and return to the AST DV Program.